I cannot believe it is already March! We are three months into the year and I am feeling super excited for Spring weather so I can shed my coat, gloves, and scarf when I go on my daily walk! That’s right, you read correctly, I am a daily walker! I feel refreshed and love to challenge myself by increasing my daily steps on my pedometer! The best part about maintaining my 2016 fitness goals is the satisfaction of a reward after an hour walk! Knowing I can have a reward of some of my favorite foods drives me to keep my fitness goals! 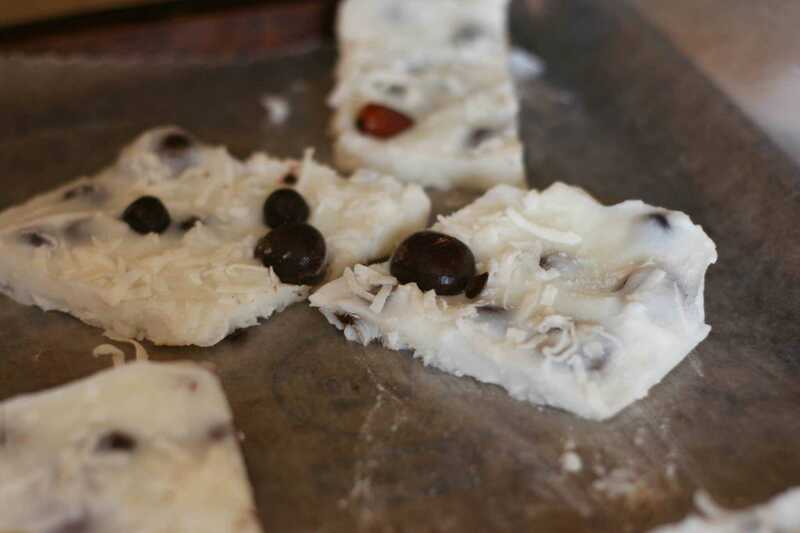 The idea of a yummy reward sparked a recipe for Frozen Vanilla Coconut Yogurt Bark made with DOVE® Chocolate Fruit & Nut! When I want a snack, especially after I exercise, I love a cold snack. I love yogurt and if it is frozen, even better! So I combined a few of my favorite things, vanilla yogurt, shredded coconut,coconut extract and I chose DOVE® Dark Chocolate Raspberry & Honey Roasted Almond, DOVE® Dark Chocolate Strawberry & Cocoa Almond, and DOVE® Dark Chocolate Blueberries. 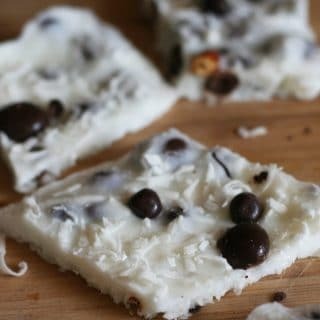 It takes about 5 minutes to combine the ingredients, line a cookie sheet with aluminum foil and spread the yogurt bark ingredients onto the cookie sheet. 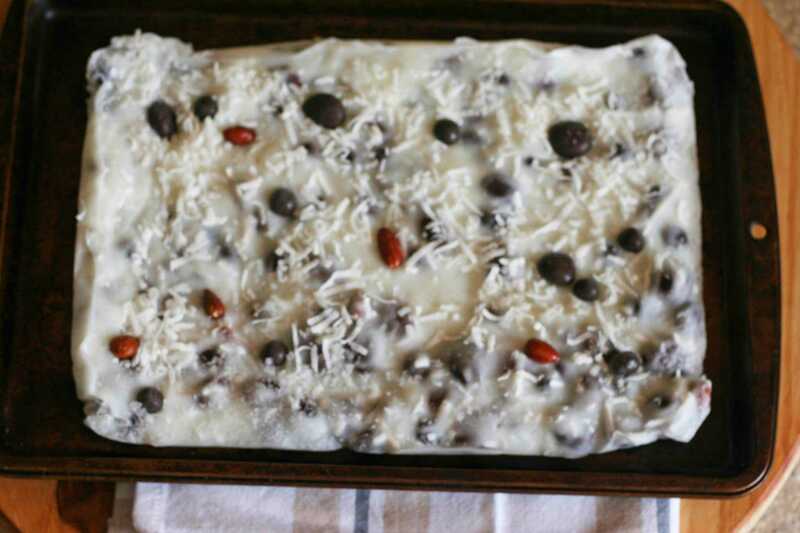 The hardest part is waiting for the yogurt bark to freeze! This is just a delicious snack that my whole family loves! Once it is frozen, I brake it up into smaller pieces and place the frozen bark into a freezer bag to keep in the freezer. These babies didn’t last long, yummo! To help stay on track of your fitness goals, I have made a list of my shopping guide that I use to go shopping. I have attached it here Shopping List! 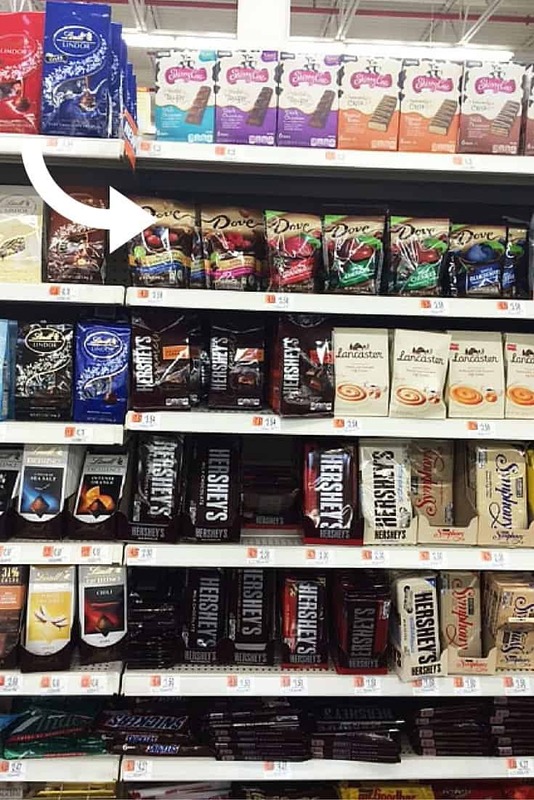 I hope this inspires you to keep on track of your fitness goals at the grocery store or get back on the track to help in making better choices as you shop! Another great thing on this lovely Monday morning. You can get a $1 dollar coupon for DOVE® Chocolate Fruit & Nut which can be purchased at Walmart! How you are staying on track with your wellness goals for this year? I hope you enjoy this recipe and keep connecting with me on Instagram, Pinterest, Twitter, Bloglovin, Google Plus ! 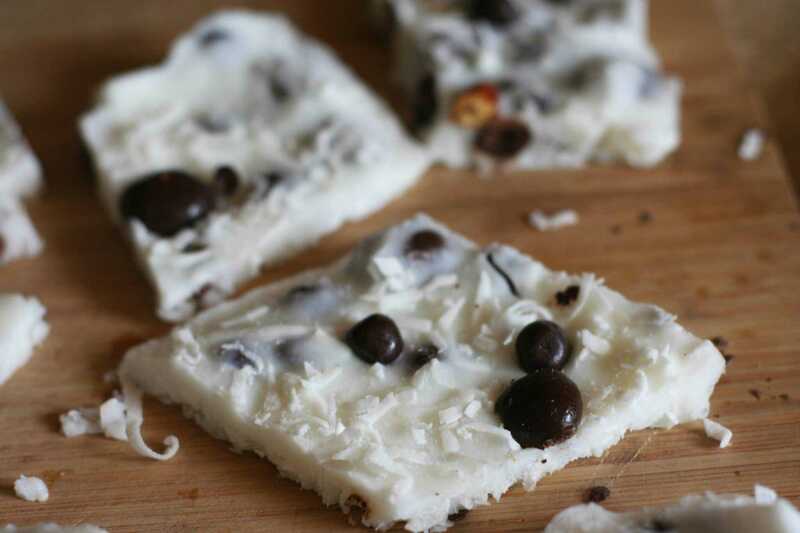 A quick and delicious snack made with fat-free vanilla yogurt, coconut flavors, and DOVE® Chocolate Fruit & Nut. The ingredients are combined together and in three hours, a delicious snack! 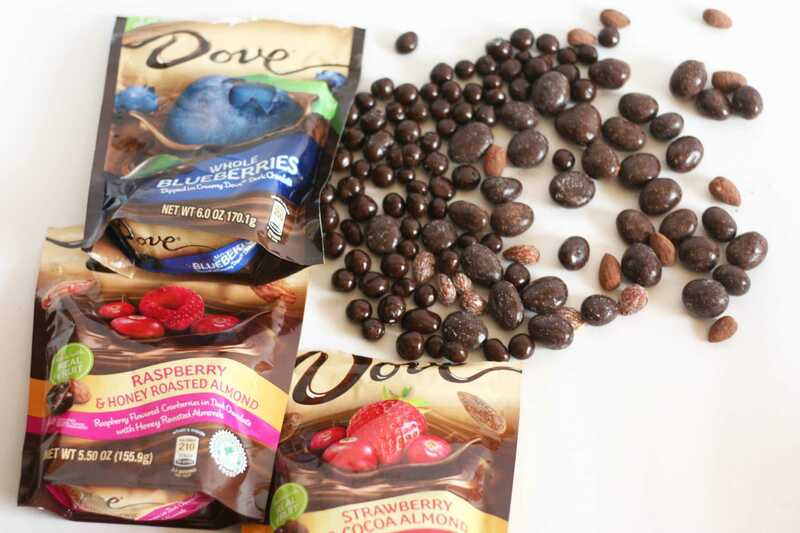 In a medium-size bowl, add the fat-free frozen yogurt, coconut extract, 1/2 each of the divided DOVE® Dark Chocolate Strawberry & Cocoa Almond, DOVE® Dark Chocolate Raspberry & Honey Roasted Almond, DOVE® Dark Chocolate Raspberry & Honey Roasted Almond, shredded coconut and blend. Add the yogurt mixture to the lined cookie sheet. 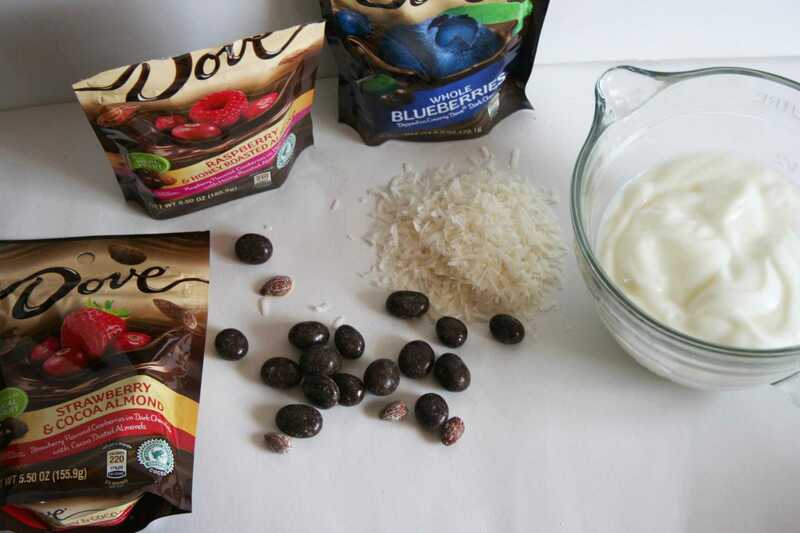 Top the yogurt blend with the remaining DOVE® Chocolate Fruit & Nut and shredded coconut. Place in freezer for at least 3 hours. Once frozen, break into smaller pieces and keep in a freezer bag in the freezer to enjoy. Thank you Farinda! I appreciate you taking the time to let me know you enjoy the yogurt bark! This is really tasty, enjoy! My goodness, that looks absolutely delicious. 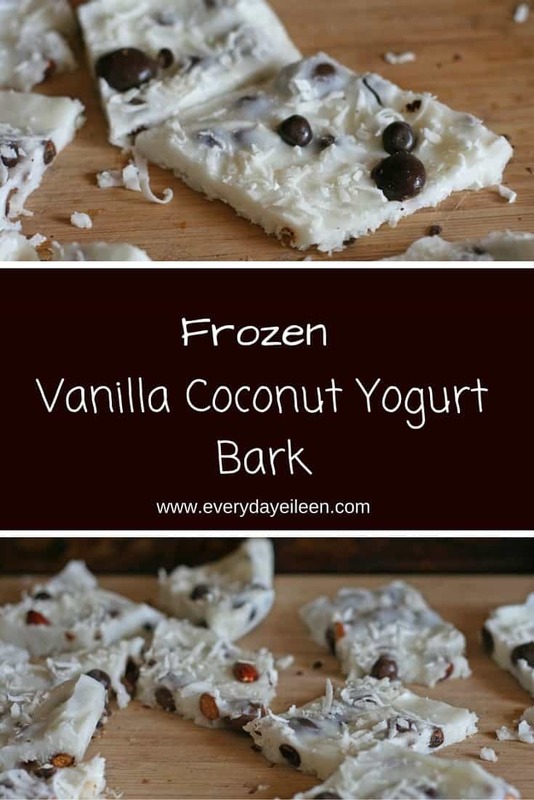 I would love anything with vanilla yogurt & the recipe looks fabulous with those shredded coconut & chocolate nut toppings. My kids would love it right away. Yummy! 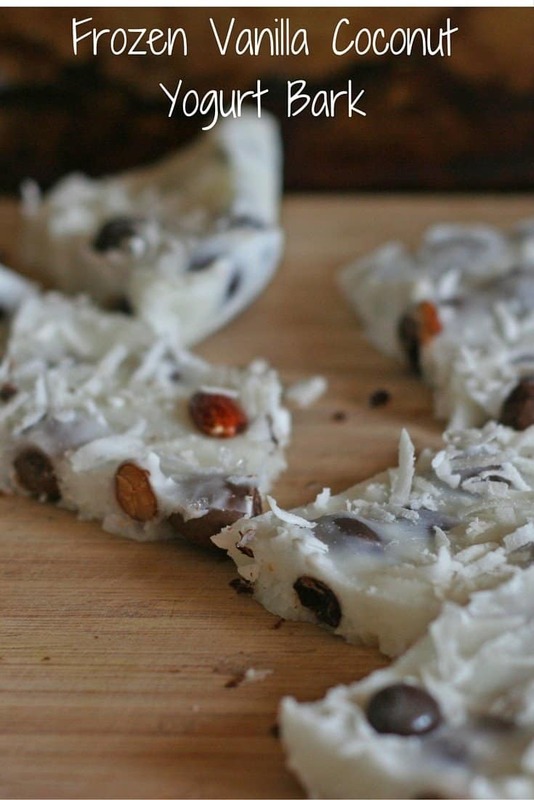 I’m sure my husband would also love this yogurt bark. These look like a decadent treat! I love all things Dove so I’ll be sure and get some of these to try. I can see myself making these for my wife. She loves dark chocolate. And Yogurt. They look pretty good. I love frozen coconut. This is so delicious looking! These recipes will be the death of me. I love that I now have unlimited supplies of recipes that I an get ideas from …. Thats great. This is really not high in calories. The yogurt is fat-free. And the chocolate has dark chocolate and real fruit. Enjoy! The first time I had bark ever was last year at Christmas. I am now a huge fan! I never try this before! It is time to trying something new! You are so funny, enjoy! Yum! I plan on making this on the weekend. It looks like a great post workout snack. Oh man! These look fantastic! Heavenly delicious! I cannot wait to try this. Thanks for sharing!! I am so glad you like the recipe! Yum! This looks like an amazing treat and perfect for Spring! I need to make a batch right this second! These look pretty good. I am a fan of all of the ingredients. I love easy,yummy recipes like this! That looks so yummy. I want to try it! Glad you shared it. This looks like the perfect Mom snack! I’ll be making this soon! I am so glad – enjoy! I love dove chocolates! Their products are just so enjoyable, especially the dark chocolate variations. Thanks for sharing this lovely recipe, it looks so good! This looks so yummy. It would be so hard to wait for it to freeze. Those look really good and so quick to make, you can’t beat that. Bet you have to eat them pretty quick too. I have never tried bark before but I would love too especially since there is so much that you can do with it! Way to go and FYI this looks amazing! That sounds awesome. I cannot wait to make this. Yum!